The Pool Company offers top of the line pools with premium service from start to finish. Pool construction begins with a site visit where we will discuss design, pool landscaping, budget, and what your intended use for the pool is. It is important that we have a full understanding of your lifestyle so that we can design a pool that is fully integrated into your personality. If you have kids, then your pool design may be wildly different than if your main intention is to entertain guests and throw parties. 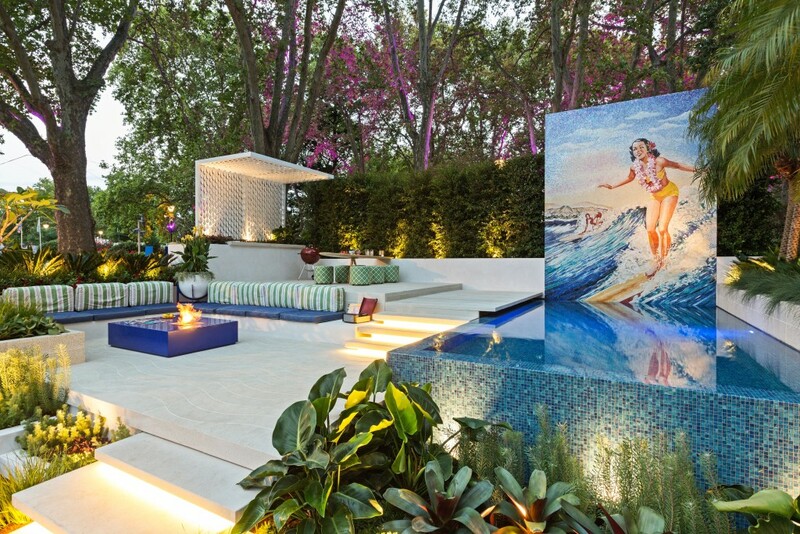 Your pool should, in essence, be an extension of your home and reflect your personality. 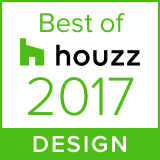 Once the outlines of design, budget and use have been detailed, our design process begins. We take everything into consideration when designing your pool, and want you to be completely satisfied with every little detail. As an included service, we provide you with multiple 3D renders of your new pool design, allowing you to select the exact look and feel you prefer. We then take the chosen design and revise it with you to get it absolutely perfect. However, this is not required before we give you a quote. Once you are happy with the pool design, many customers choose to work with The Garden Company to design and implement a unique pool surround. 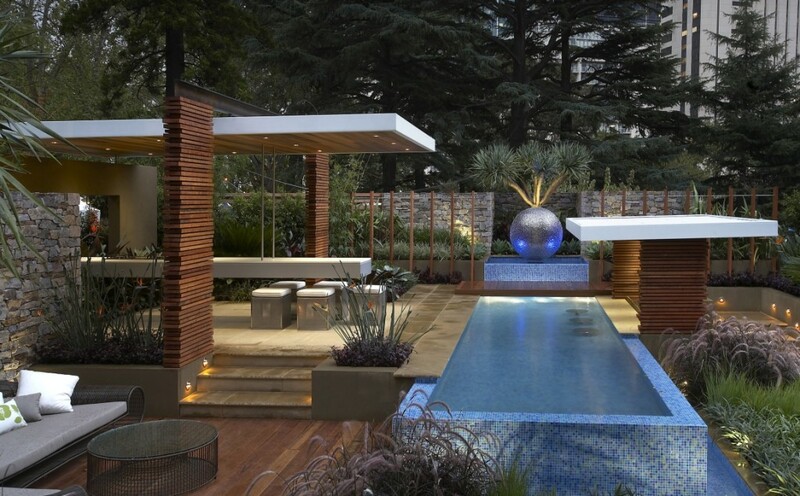 The Pool Company works closely with The Garden Company to provide an impressive outdoor area for your home. 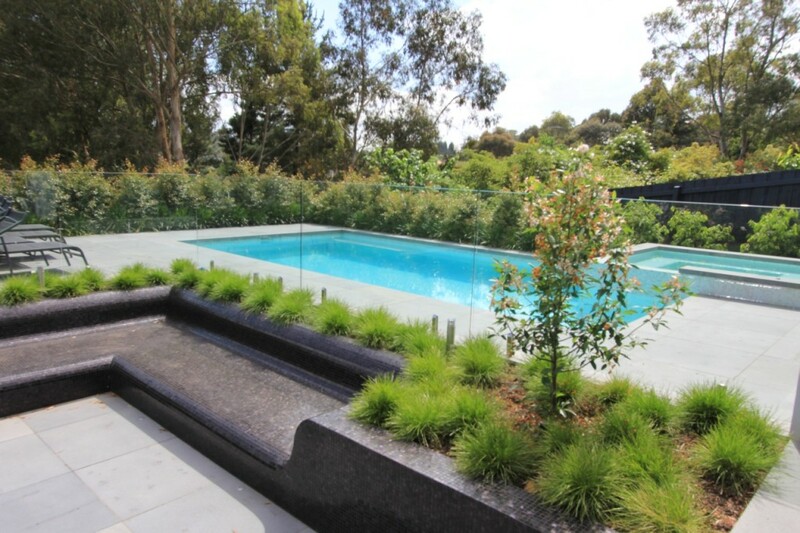 Garden design and pool landscaping are an important asset in creating a rich and vibrant environment to enjoy your outdoor space. Pool landscaping may also include things like outdoor alfresco areas that lead directly out to your pool, not just gardens. There are many options to consider when making this space your own. Once everything has been finalised, it is time to bring that 3D render to life. First step, the site is marked out. Excavation follows. All costs of soil removal and excavation are included in the contract. Steelfixing and subsurface draining are next, as well as primary plumbing and cabling of low voltage light fixtures. Concrete pool form is installed. All plumbing and solar installations happen at this time. Tiling and coping are installed. Final stage involves handover and commissioning of the pool. If you want more information on the pool building process, please contact us.